Description: Twofer murder? What’s a twofer murder? 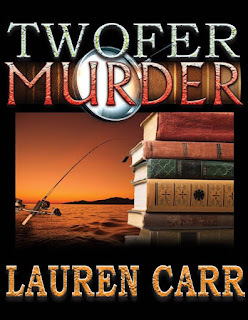 Twofer Murder is a book done well. If you think one murder mystery was not enough for you. You will get two in this book. Lauren has now outdone herself with this one as you will see if you decide to get it and read. The boys go on a fishing trip together. When they arrive they meet some new people in Scary, WV. They take two dogs with them. Tristan, Mac, Joshua, Murphy, JJ, David and two dogs are all together for a weekend. Jessica, Archie, Sarah, Dallas, goes to the writer conference for that same weekend with a spider named Monique in Pennsylvania. Cameron joins the girls on their weekend when the Black Diamond shows up and Dallas calls David. There appears some murder galore in this book. There are three victims. Will the boys solve the murders? There are twists and turns throughout the book. Will the girls solve their murders? Also, the book goes from one murder to the other. There are a total of thirteen parts all together. 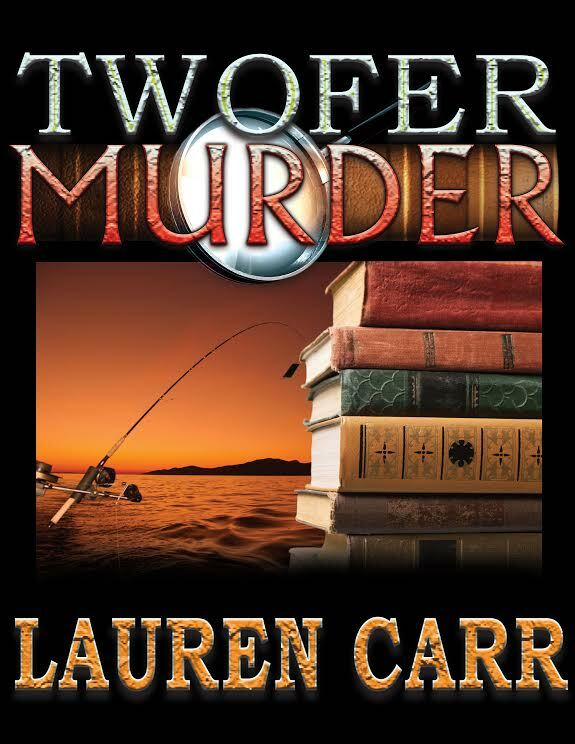 Who could be the killers in the two murders, that take place in two different states? Tristan got his only little mystery as well. I love this book. There are some many mysteries going on that I believe you can get caught up in the book. Will Tristan find his missing cheese balls? Who has taken, Tristian's cheese balls? Will Tristan find the culprit of his missing cheese balls? Sarah as her own little adventures. To find out what all these adventures are you will need to find out by reading the book. 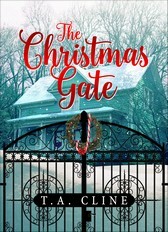 The Christmas Gate is a sweet and memorable story. It is only part 1 of a two-part story. I like the concept. I know it deals with candles mostly. I like T.A. Cline idea to use seven Christmas Candles. It gave me a feeling of “The Christmas Carol” only done a bit differently. I enjoyed it. Ray has seven different visions. They all mean something different and show different things. I loved it. I can't wait for the next part to come out to read it. T.A. Cline writes this plot well. My favorite and best part are the Christmas candles and how they show up even when Ray put them away. I would love to tell you more but why tell the story when you can read it yourself. I like the concept of how the gate opens and gives Ray a vision for seven nights. There a big surprise at the end and something you do not expect. What are the candles and what do they mean? There appears to be a vision for each, and a color for each candle it represents. Hopefully, Ray and you seem to understand the mysterious box that Ray finds? the Bearer of the Lion Ring's soul. The rivalry for dominance over the continent of Andara has taken a dark turn. Eternal enemies - the Jalora and the Sarcion - pit their forces against one another in bloody battle. Good weakens, betrayed by the very humans it has sworn to protect. Valdeon, its stronghold on Andara, falls to sword and flame. The fires of its destruction are set alight by barbaric invaders from across the sea. Their brutal hand conquers the land in a night, exiling the Lords of Valdeon - Sacred Guard of the Covenant. Cut off from the center of their power, the Jalora's greatest heroes are helpless to defend their homeland. Hope still lingers. Seth D'Antoiné, Bearer of the Lion Ring, journeys to the great Obsidian Citadel seeking a magical relic, the Book of Ancients. Its power could hold the key to Andara's defense. He alone can open its pages, sparking the magic into life and restoring the Jalora's waning power. Finding the book won't be easy. Elusive Obsidian Gates - appearing and then vanishing again by their own will - keep the secret of the book's location well hidden. Digital eBook coming in January 2018! Start from the beginning with The Lords of Valdeon. 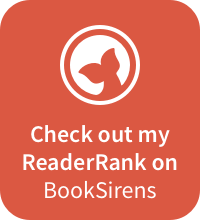 "This book is like the Night Circus in its extensive descriptions, mixed with Star Wars' family feud, with a hint of fantasy and mystery mixed in. I think this is an amazing start to the series, and my expectations are high for the nextbook!" 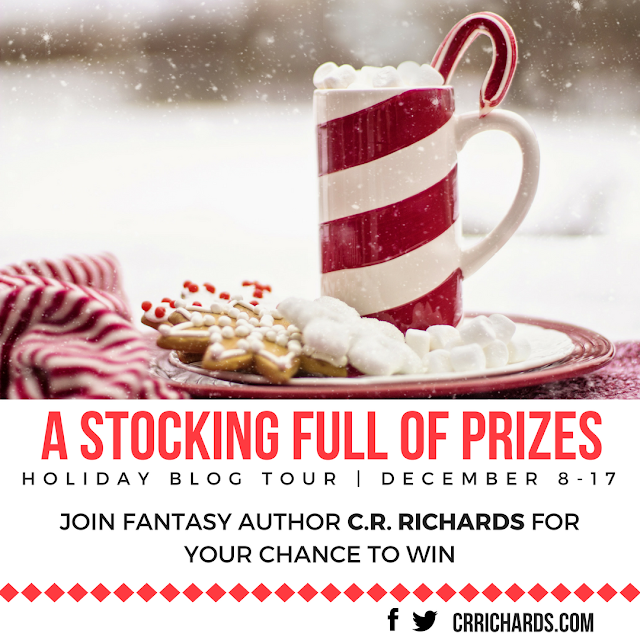 C. R. Richards enjoys telling tales of intrigue and adventure. Having began writing as a part-time columnist for a small entertainment newspaper, Richards has worn several hats: food critic, entertainment reviewer and cranky editor. She has now published a handful of novels, including Phantom Harvest - book one in The Mutant Casebook Series - which took home the EPIC eBook Award for Fantasy in 2014. Richards beat out entries from the U.S., Canada, United Kingdom, Australia and other English speaking countries. Her most recent literary projects include the horror short story, Lost Man's Parish and the newly-released dark fantasy thriller, Pariah. She is an active member of Rocky Mountain Fiction Writers and Horror Writers Association. 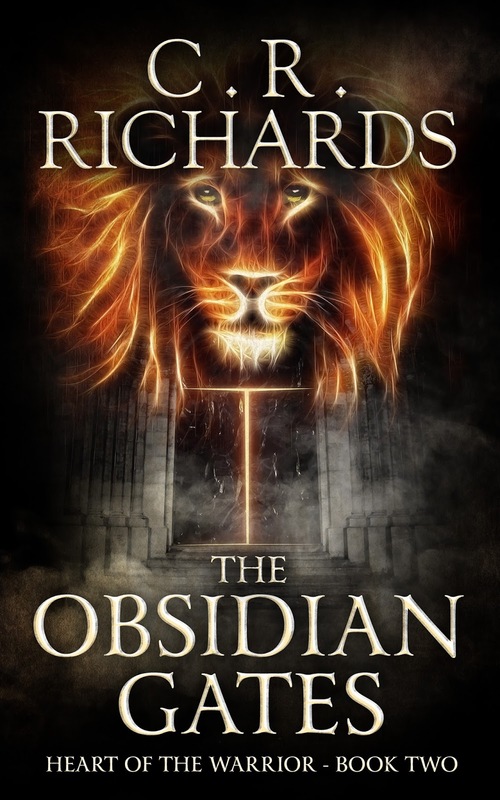 In November, Richards releases her epic dark fantasy novel The Obsidian Gates, the second installment in the Heart of the Warrior series. Through her storytelling, Richards aims to reach lovers of fantasy who are exploring alternatives to the traditional status quo. Her message is simple: One person can be a catalyst for change. 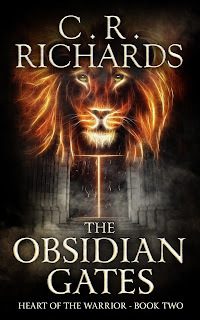 The Obsidian Gates is the second book in your Heart of Warrior series. Can you catch readers up on where you left off in The Lords of Valdeon? Seth is the new Bearer of the Lion Ring. He and his squire, Riley, are on the run from the same blood thirsty creatures who murdered his father - Edmund the Leo. Escaping Marianna, with the help of Xavier the Wolf, they set sail aboard a cargo ship headed toward the mainland of Andara. Seth is determined to find answers about his parents and the family behind their murders. Julian, after arranging Edmund’s murder, continues his attempts to kill the new Bearer of the Lion Ring. He tries to pursue Seth, but is stopped by the invading Jackal. Julian is taken to their command ship to find he’s been outsmarted by the Jackal General, Lord Gorman. Hopes of seizing the throne of Valdeon begin to Dwindle. Julian isn’t one to be easily stymied. He begins plotting for new ways to exact his revenge. What do you think will surprise readers most about this new chapter in your series? The main characters in the series are devastated by loss in book two. They have their homes and their loved ones torn away by invaders. I think the readers will find encouragement in their ability to endure through all the trials they face. Was there any special research you conducted while writing The Obsidian Gates? I love doing research and had several topics to pursue in this book: old schooners and potential designs to turn them into airships, basic military ranks and protocol, and my favorite - visiting Key West for location ideas. Epic Fantasy’s take big imagination! Can you tell us how the Heart of the Warrior series came to fruition? All my story ideas start with one pivotal scene I envision in an intense and vivid dream. The first seed of an idea for the Heart of the Warrior Series came to me when I dreamed of a boy from the 18th century. He was kneeling beside his mother's grave in a cemetery beside a high seaside cliff. A strange man joined him there. The scene made me wonder who the man was and his relation to the boy. They were strangers. I could tell from the man's dress, he was a foreigner. I began to ask several "What if" questions to flesh out the story: What if the man was the boy's estranged father? What if his mother had hidden him in the remote village? WHY? Who are these people and what brought about the tragedy that bound them to one another? I wanted to find out and the only way to get to the truth was to write the first book. What fascinates you the most about writing? The act of creating art - whether it be writing, music or visual art - is a miracle. We begin with a blank surface. The object we create when we've finished isn't done by the holder of the pen or the brush - something guides our hand. I'm always fascinated when I go back and read a passage out of the novel I'm working on. Very rarely do I remember writing the words. It's almost as if my mind goes and retrieves the story from another realm. I think, perhaps, this is the reason I work so hard to finish each story. I don't know where they come from or why they come to me. I just know I've been given the responsibility to bring them out and make them available for everyone to read. Was that part of what made you want to pursue life as an author? I'd always dreamed of being a writer. Unfortunately, I gave up on the dream for many years while I pursued other careers. Eventually I became a miserable and depressed mess. I turned to the one thing I knew would make me happy. Once I picked up my pen and paper again, I never stopped. People glibly throw around the term, "Living the dream." I am living my dream. I can't wait to get out of bed in the morning and share my unique vision with the world via my stories. It really does make a huge difference in your life. Purpose gets you out of bed in the morning with hope and happiness. It makes your outlook positive and productive. My father was an amazing person. He lied about his age to join the army during WWII. Dad was captured and taken on the death march. He faced hard challenges his entire life, but he always kept trying. He taught me to be tough and to work for what I want in life. Dad was also a beautiful artist and a writer. He never sought fame, but was always supportive of his creative children. Though Dad passed away several years ago, I still hear his voice in my head during those hard times. Keep going. You'll make it. Have you ever had a mentor, or someone who sparked your passion? I'll never forget the year New York Times Best Selling author Joseph Finder came to the Rocky Mountain Fiction Writers conference here in Denver. He is so kind and supportive - no matter the level of success he achieves, he remains genuine. His workshop changed my outlook on writing. He told us our first draft of the book would be terrible. Accept it. Then just write the crappy draft (his words!). The important thing is to finish. You can correct all your mistakes later. Essentially, he gave me permission to not be perfect. My books can never be perfect, because I'm an imperfect human being and that's okay. What kind of other works (books, scripts, poems etc.) have you had published? I coauthored a horror romance novel (out of print), before deciding to go out on my own. My first solo dark or urban fantasy novel, Phantom Harvest, was traditionally published. The three books that followed were all Indie Published: Lost Man's Parish, Pariah and The Lords of Valdeon. I've also been a freelance journalist and columnist in local newspapers and entertainment magazines. What’s next for the Heart of the Warrior series? Book Three (In the works right now) takes the story to an isolated marsh where Seth must search for the fabled “Creed of the Guardian.” It won’t be easy. Their outpost is surrounded by treacherous bogs and fierce predatory creatures. The perils outside the walls of the outpost can’t compare with the dangers from within. Many of the rangers in Seth’s new battalion have seen his raw power. They fear he will lose control of the destructive force of the Lion’s Roar. Others fear what his mixed blood means for the future of the Legion. Only by finding the Creed of the Guardian can put their minds at ease and restore the Jalora Legion’s hope. How to Kiss a Billionaire by Cami Checketts Sassy meets swoon-worthy in this fast-paced contemporary romance. Miriam Salisbury escapes to Oregon to avoid a boyfriend who won't take no for an answer, killing her beloved cat to prove it. When her father sends Clay Browning to protect her, she's certain he's lost his mind. As far as she's concerned Clay's experience is limited to posing for the camera, charming women, and making fun of her. He's been teasing her since they were children and she's never gotten over the way he threw crawdads at her at church picnics. Clay retired from the military and entered the world of private security. When he gets the call to protect Miriam he's excited to be around his lifelong crush. As expected, he teases her nonstop and the only thing he takes seriously is her security. He knows she'd never give him a chance and he can't help but give her a hard time. After Miriam is dumped in the freezing ocean on a crabbing expedition and Clay saves her from drowning and freezing to death, she takes a second look at her hired gun. But opening up to him is more terrifying than facing her stalker. As events escalate to a frenzied climax, Miriam and Clay must put aside past grudges in the hope of finding a lasting love for their future. Author Cami Checketts Cami Checketts is married and the proud mother of four future WWF champions. Sometimes between being a human horse, cleaning up magic potions, and reading Bernstein Bears, she gets the chance to write fiction. Cami graduated from Utah State University with a degree in Exercise Science. She and her family live in the beautiful Cache Valley of Northern Utah. During the two months of the year it isn't snowing, she enjoys swimming, biking, running, and water-skiing. Disclaimer: I received from author and Mary. I am giving an honest review. Description: Two Sisters Get a Second Chance at Life and love Angela Her mother's untimely death, a struggling marriage, a strained relationship with her sister, Rose, and regrets over what might have been haunt her. Despite being a wife and mother, she feels she has little to show for her life.Rose Still single, she longs for a husband and children. But Angela has all that and still isn't happy. Rose wants to be closer to her older sister, but she and Angela couldn't be more different. Both strong women, will their sibling rivalry ever end? 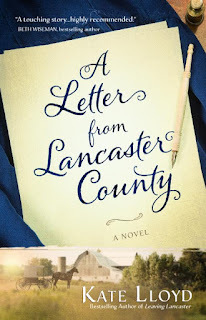 * * *When a letter arrives from Lancaster County, Pennsylvania, Angela and Rose decide to visit Aunt Silvia, their mother's Mennonite sister, in the heart of Amish country. This vacation could provide the opportunity both sisters need to sort out their issues. And yet instead of finding a new way of connecting with each other, Angela and Rose discover surprising family secrets that add to their strife and threaten Rose's romance with a new beau. Through it all, the two sisters must find the faith necessary to face their personal problems and allow God to restore hope and healing to their hearts and relationship as only He can. 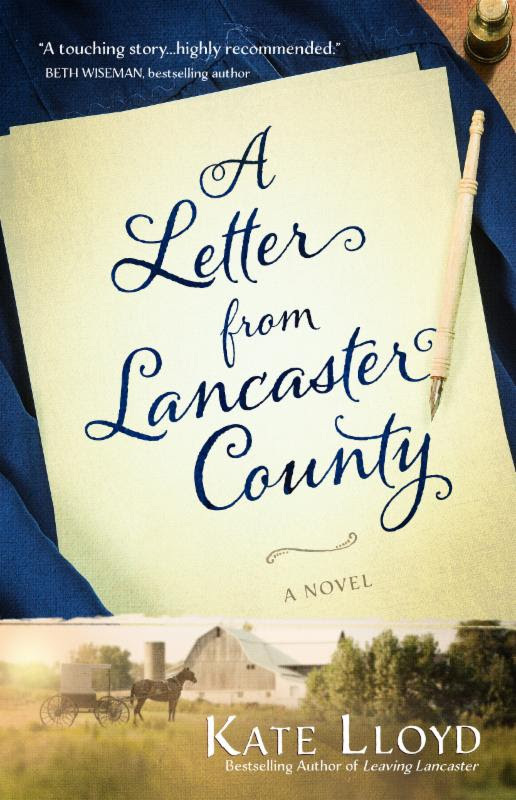 A Letter for Lancaster County is a good sweet story. It seems about a redemption and learning to deal with death and grief. What a lovely plot. Katie Lloyd does a good job with it. We get the perspective of the main characters named Rose and Angelina. They get a letter from their aunt Sylvia. Both girls is dealing with their own problems and grief of their mother. Will they learn that letting go and have faith? There a budding romance going on as well. What could that be and can Glenn and Rose being a match? You will need to find out by reading. Can Angelina figure out what going on at home and her husband and family? To find that out, you will need to read to determine that. They find out that their Aunt Sylvia is sick, Will Rose decide to stay or will she go back to her home in Washington? This is a lovely and sweet story of love, friendship, and redemptions. Marrying Miss Kringle: Lux by Lucy McConnell Christmas Magic is changing and the Kringle Family scrambles to keep up in this fun and entertaining, sweet Christmas romance from Author Lucy McConnell. A normal electrical substation takes two years to build; but, Lux has 365 days to install one at the North Pole or Christmas Magic will overload the factory and send them back to the Dark Ages. The one man on the planet with the know-how, the education, and the time to help Lux finish the substation before her Noel deadline, is also the one man who sends sparks through her heart and surges through the power system. If Lux kisses Matthew Quik—again!—she could blow up Santa’s workshop before she has a chance to save it. If she doesn't kiss him, she may lose him forever. Praise for the book: "For getting me in the mood for Christmas, and the romantic aspect of this holiday even before Thanksgiving, I’m happy to give Ms. McConnell the 5 STARS I’ve given her book." "Marrying Miss Kringle: Lux is a funny, tender, magical adventure into the sparkles of Christmas Magic and the sparks of human love." Lux’s cheeks dusted pink. With her red hair and fair skin, she should have flushed bright red, but only this sprinkling of pink appeared, like she’d been dusted with pink powdered sugar. Why did this woman bring to mind sweet things like powdered sugar and chocolate and kisses at sunset? He gave his head a mighty shake. “You fell in the water.” “I know.” At least, he thought he knew. Everything had happened so fast. He’d fallen asleep and woken up when the ice cracked. He plopped his feet to the floor only to have them land in several inches of water. His stove had tipped over and the hot metal had melted clear through the ice. There must have been a crack in the ice nearby. “We pulled you out.” “We?” Quik adjusted the blankets over his arms. He could only imagine Lux and Ginger and Frost tearing his clothes off. Lux made to adjust her glasses, but they weren’t there. She looked around like they’d fallen off and she didn’t know how. So he wasn’t the only one thrown off by all this. Quik’s eyes traveled lower to find her bare shoulders and her skintight tank top. He jerked his eyes back up to her face, hoping she hadn’t caught his wandering eye. “Me and Dunder.” She chewed her lip. “My reindeer.” “Of course.” The situation was going up in weirdness. Having used up all his ability to care about propriety, Quik leaned back against the seat. He was in the bottom of a fancy velvet-lined sled. Yep. Weird. His eyes dropped shut. “You cut my pants?” he asked. “I’ll get you new ones,” offered Lux. “Did you cut my shirt too?” “No!” She was offended. That was kind of cute. “Too bad. I needed a new shirt.” He half smiled. 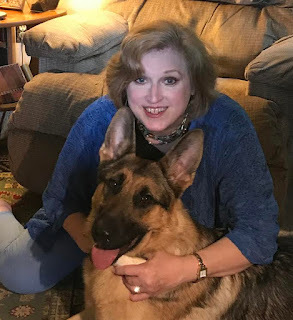 Author Lucy McConnell Award-winning author, Lucy McConnell, loves Christmas, romance, chocolate and Elvis. She started out as an editor at an advertising agency before moving on to teach in the marketing department of the local community college. She loved teaching and often misses the academic environment. Lucy retired from teaching and began to write articles and sweet romance novels. She has been published in national magazines, newspapers, short story compilations, and she writes cookbooks under the name Christina Dymock. If she's not at the computer, you can find her trying to keep up with her husband and four kids on the ski slopes, in a boat, in the kitchen, or on a horse.